Overly large breasts can be a true burden for some women. In many cases, women with disproportionately large breasts suffer from physical, emotional, and psychological discomfort. Large and cumbersome breasts can cause chronic back and neck pain, lead to unwanted attention, and prevent you from participating in the activities you enjoy. Breast reduction surgery corrects the size of large, pendulous breasts to produce smaller, proportionate, and youthful breasts. Breast reduction surgery is performed as an outpatient procedure at an accredited surgical facility. General anesthesia will provide you with a painless procedure. You will need someone to drive you home from surgery. On the day of treatment, Dr. Palladino will confirm the technique to be used and the aesthetic goal you are trying to achieve. Incisions: Dr. Palladino creates an incision along the breast to remove excess breast tissue. The length of this incision varies depending on the severity of your treatment. A donut incision is used for more minor corrections, with the incision placed around the border of the areola. In severe cases, an anchor incision is used, as it provides the greatest access for tissue removal. This incision is created around the areola, vertically down the breast, and across the natural crease. Breast Lift: Dr. Palladino may recommend combining a breast lift with your reduction. Women with large, pendulous breasts tend to find that they have a significant degree of sagging. 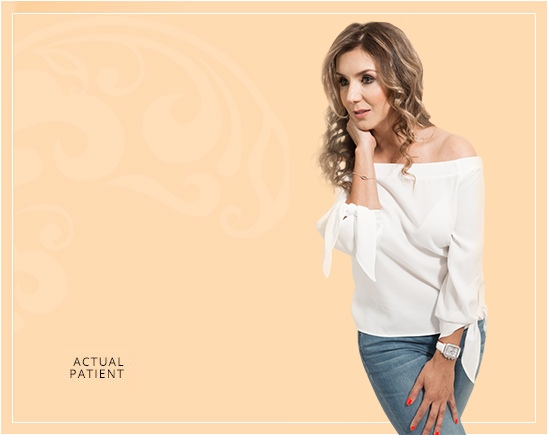 By using breast lift techniques, Dr. Palladino is able to enhance the shape of your breasts and place them in a more attractive position. To prepare for surgery, you should quit smoking at least six weeks before the procedure. Avoid eating or drinking anything for at least eight hours prior to the surgery, as this ensures that anesthesia can be used safely. The day of your procedure, wear a loose-fitting shirt, preferably one that buttons in the front. When you arrive at the surgery center, you will be escorted to the pre-operative suite, where Dr. Palladino will map out your treatment areas to guide him during the surgery. A family member or friend should accompany you to the surgery center and remain available for updates on your progress. How long is the recovery period after a breast reduction? Your breasts will likely be swollen, bruised, and tender after surgery; these side effects resolve over time. You should rest as much as possible in the days following surgery and limit any strenuous activities, such as bending, lifting, or straining. Dr. Palladino will follow up with you several times after surgery to check on your healing progress and answer any questions you may have. Breast reduction recovery varies by patient, but you should be back to work and your normal routine within a week or two. Will breast reduction surgery result in scars? Scarring is a risk associated with any surgery. The severity of your scarring will depend on the extent of correction you require. Factors such as post-operative care and your natural healing process will also impact the visibility of your scars. Most women feel that the amount of scarring is worth the improvement in their breasts, especially since the scarring will fade over time. Your breast reduction is tailored to address your specific aesthetic needs. The nature of your correction will affect the cost of your procedure, though a typical breast reduction costs between $4,000 and $5,500. Is breast reduction surgery covered by my insurance? A medical history that proves physical discomfort due to the size and weight of your breasts may help you receive insurance coverage. For more information about Breast Reduction, please contact MagicSurgeon Humberto Palladino, MD, FACS. Dr. Palladino would be pleased to meet with you to discuss your cosmetic goals and devise a personalized treatment plan. Please call us at (866) 624-7874 or request your one-on-one consultation online today.